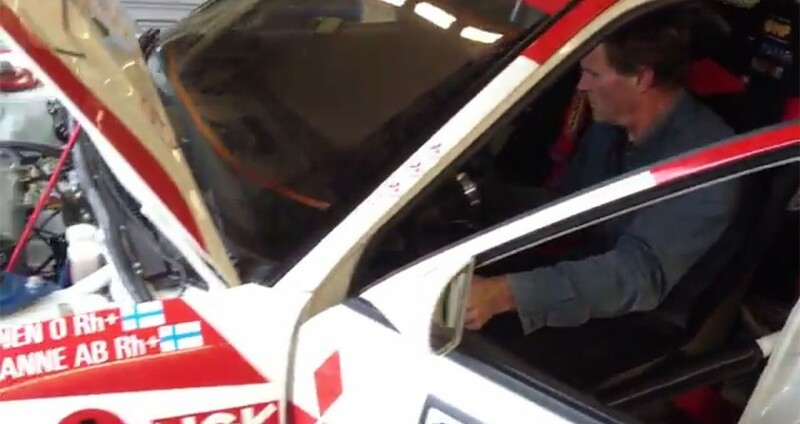 Video: Tommi Makinen to use the “historic” Mitsubishi Lancer Evo III? We know what Tommi plans to do in Rally Finland, but we don’t know what kind of car he’ll use. Officially. However, can this video be some kind of a hint? Kindly linked in a comment to yesterday’s post about Tommi’s single stage plans, video shows four time World champ starting the engine in one of his cars. Judging by the livery and the registration plate, this is Mitsubishi Lancer Evo III and it’s a real time machine. Because believe it or not, it dates back to 1995 so it’s 18 years old. Yeah, time is a nasty thing. If Tommi really plans to use this car to set the time which others will have hard time matching, his drive will surely be a thing to see! See? Are we actually going to be able to see it, as in live? Your guess is as good as mine. Pamputtaja, thanks for the tip!